Today is an exciting day for us. Kyle is sharing one of his recipes on Thirty Handmade Days today for Autism Awareness Month. 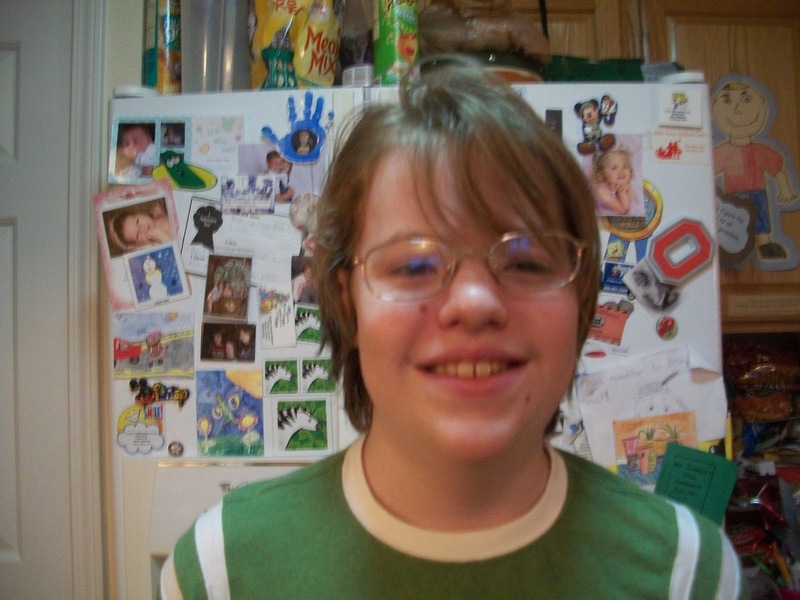 As you may know, Kyle has Aspergers, and is considered to be on the spectrum. The last few weeks he found a new love of cooking, and I have been sharing his recipes in his own Cooking with Kyle series. Each week it is has been a joy to see his confidence grow in the kitchen, and to see his sense of accomplishment when his recipes turn out great. Please stop by Thirty Handmade Days and check him out! I just read your post on the 30 Days blog and I'm so happy to have found you and Kyle. He is such an inspiration! I'm going to "talk about" Kyle and your Cooking with Kyle series on my facebook page today. Everybody needs to know how amazing he is. Hey, I "pinned" this great recipe made by Kyle on Pinterest and have gotten notification of LOTS of repins. Kyle is famous now!